Join the movement to cure ALS! Walk with us on Saturday, September 22 in Vancouver, WA and Sunday, September 23 in Portland, OR. 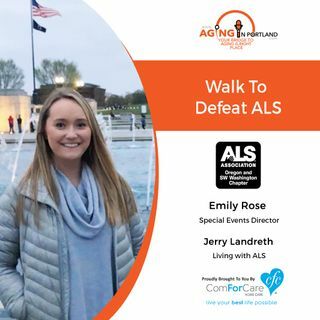 Emily-Rose Witala, Special Events Director of the ALS Chapter Portland, and Jerry Landreth join us on today's show to invite everyone to take that walk. Jerry was recently diagnosed with ALS, and he shares how he made the life adjustments to live with ALS. Jerry and those like him need you and me to help them defeat ALS. Let's walk with and for those living ... See More with ALS!